Largest winegrowing region in Georgia; look there. The Near Eastern State (formerly Grusinien) east of the Black Sea in Transcaucasia is one of the oldest wine-growing countries. 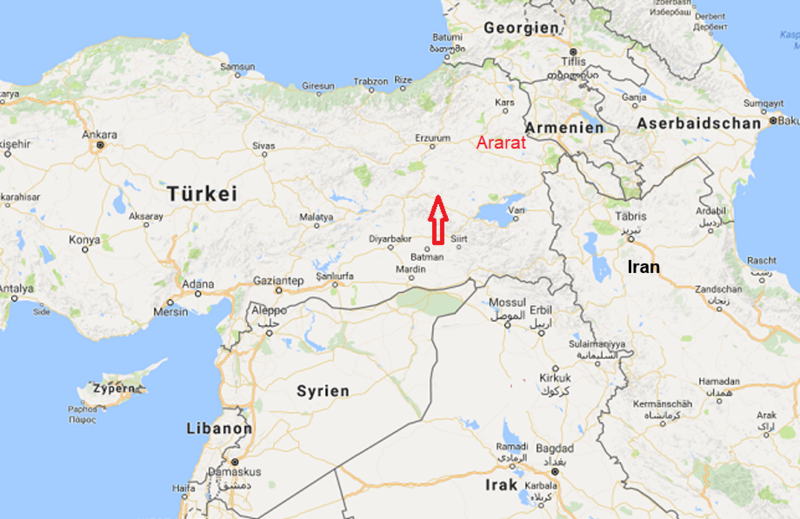 It is also called the origin of the cultivated grapevine However, according to the most recent research in Turkey today, it is suspected in southeastern Anatolia (arrow). After Bible is on the mountain Ararat landed after the Flood Noah. According to one hypothesis, the 5,000 - year - old earthenware jars found near the town of Wani in Imeretia are said to have cores of Rkatsiteli vine have included. Already 7,000 year old grape seeds cultivated vines indicate a selection for the breeding better grape varieties. The archeology provided evidence that viticulture from its earliest days enjoyed great importance and was an integral part of Georgian culture. In the Museum of the capital Tbilisi (Tbilisi) is a silver-covered, short piece of vine wood, which was found in Trialeti in the south and whose age of 3.000 BC. Was determined. numerous Rebmesser, Stoneware, mills, clay and metal vessels and jewelry in the form of grapes and vine leaves from the period between 3000 and 2000 BC. Were excavated in Mukheta, Trialeti and Pitsunda and in the Alazani Valley. Rich ornaments with fruit-bearing vines can be found on the walls of temples in the cities of Samtavisi, Ikalto, Gelati, Nikortsminda, Vardzia and Zarmza. In a poem by the Greek scholar Apollonius of Rhodes (3rd century BC), the librarian of the famous library in Alexandria, it says in his work "Argonautica" that the Argonauts (heroes of Greek mythology) arrive in the capital Colchis would have seen vines grazing at the entrance of the royal palace and a fountain with wine in the shade of the trees. Georgian legends testify to the love of grapevine. Georgia took over Christianity in the fourth century. The first cross was allegedly made from vines to demonstrate Christian religion and vine as the country's holiest goods. For many centuries, viticulture in Georgia had the greatest economic importance and finally reached an absolute peak in the Middle Ages. This page was last modified at 25 January 2017 at 17:24.